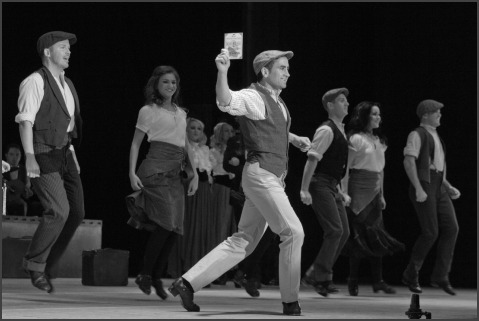 An exciting new musical featuring a talented cast of Irish musicians and more. We can't think of a single ship that is more famous and talked about than the legendary Titanic. The oceanic vessel has been the protagonist of one of history's most popularized shipwrecks back in 1912, and the story of the boat that didn't manage to make it across the Atlantic ocean before crashing into a floating iceberg acquired major popularity with the modern crowd thanks to the popular "Titanic" feature film by direct James Cameron (also known for blockbuster films such as Avatar, The Terminator or Aliens). If there is something that captures an audience even more than the energy of a great film, is probably the humanity of a stellar live performance. 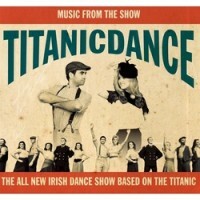 Now, the famous story of the ocean liner is also a musical that hosts the talent of some of Ireland's best folk musicians and dancers, making for a dazzling show of sounds, stories, light and magic. As many of the passengers of the Titanic were Irish, folk music is a great way to tell the story of the many souls who lost their lives on their way to the new world. These people were hoping to find a better life for themselves, perhaps starting families of their own or supporting loved ones by working from the land of opportunities and sending money home. However, Titanic Dance is not the story of tragic loss of life: it is a joyful celebration that will charm, dazzle and entertain audiences of all walks of life. The CD, Music from the Show, is a wonderful collection of Irish music perfectly played and a tribute to the success of the show. Expect to hear some lovely Irish traditional dance music, beautiful vocals and flutes to bring this CD alive in the memory of Titanic. If you appreciate shows like “Riverdance” or “Lord the Dance” then chances are you are going to find “Titanic Dance” irresistibly entertaining! Find out more and learn about this unique performance. Stay tuned, because this time around, the most famous ship in the history of seafaring might finally make the jump over the pond after all: Titanic Dance is currently looking to arrange American performances to reach out to a whole new crowd! Talent might often come in forms or shape you wouldn't particularly expect, particularly within the Celtic / Irish folk music scene! This is definitely the case of the kids at the North Texas School of Irish Music! 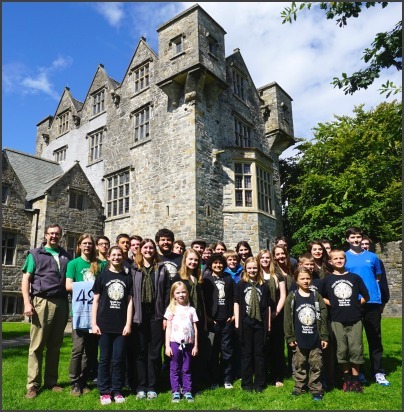 This remarkable non-profit organization belonging to the School of Irish Music Inc. was founded with the goal of inspiring, engaging and introducing young students to the culture, sounds and wonderful themes of folk music, providing opportunities as well as a vital space where to perform and unlock their talent. As a former initiative of the Traditional Irish Music Education Society (TIMES), the school kept growing exponentially, up until it eventually became its own identity and current settings. It is always amazing to witness how the spirit of Irish folk music leaves on, as artists keep performing within the genre, either by faithfully remaining true to the original versions and aesthetics of songs, or re-arranging tunes based on their own personality and spirit. Hearing staples of Irish folk music as performed by the kids of the North Texas School of Music actually feels like a refreshing breath of fresh air: these songs are youthful, energetic and dynamic by nature, and the fact that children are able to appreciate them and perform the music with such enthusiasm and personality is really a great testament to the power of folk music in itself. When younger musicians get the opportunity to study, perform and get familiar with Irish music and Celtic tunes, it also means that the entire genre will potentially enjoy the opportunity of being exposed to a whole new audience of family members, friends and more. Initiatives such as this one definitely allow the music to live on, by empowering young performer to be able to do something they are passionate about. 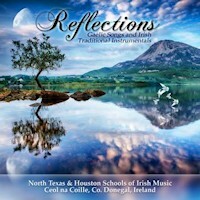 5 Stars from Celtic Radio for this youthful and appreciated recording called Reflections. Listening to these young stars gives promise to the future of Celtic music not only in Texas, but throughout the country. And that makes us all smile knowing that the future is in good hands! 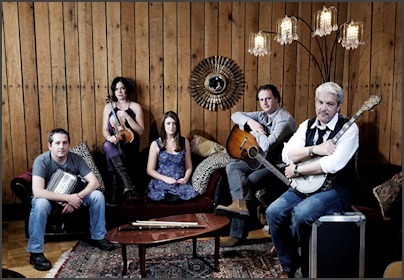 The Irish-American folk band Solas are out to celebrate a truly important achievement: 2016 marks two decades on the music scene for the group, who set out to channel timeless musical traditions with a unique perspective over the span of 11 studio albums, countless live performances and numerous awards and accolades under their belt. Their latest release "All These Years" does not only feel like a tribute to the band's long-lasting musical journey, but also a celebration of their fondest influences and of the music that helped shape the band's career and success. When you spend 20 years on the road, things change, whether you like it or not. 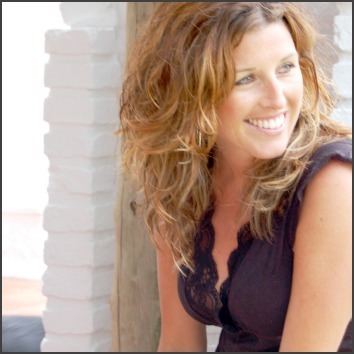 People change, musicians change and so does the way they approach music and tell stories. “All These Years” is a collection of songs that tell the story (directly and indirectly) of a band that managed to charm audiences and grow into something of a cult act by blending the quintessential energy of Americana with the timeless – nearly holy – overtones of Celtic folk music. Much like life itself, “All These Years” is a roller-coaster that reaches soft emotional lows as well as staggering energy heights. From the introspective and spiritual shades of a ballad to the high communal adrenaline released from an old-style Irish drinking tune, this album is a smorgasbord of emotions that travels hectic and unpredictable straight into the heart of the listener. This album features contributions from all the past and present musicians who contributed to Solas through the years, alongside founding members Seamus Egan and Winifred Horan, the masterminds behind the group's unmistakable sonic formula. Different musicians bring different feels, making for a rich, diverse and eclectic collection of songs sporting different textures and instrumental; from the suave notes of the flute to the stomp of the tenor banjo and the uplifting tones of whistles and bodhrans. 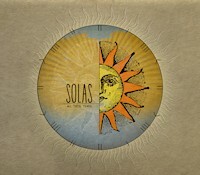 Solas might have been around for 20 years, but they are here to kick it with more passion, motivation and enthusiasm than ever before, celebrating their music and more importantly, their listeners, with an album, a tour and a concept that sounds monumental and important, yet cozy, relatable and immediate. 5 Stars from Celtic Radio! "A thousand curses upon love" is not only the portrait of a talented performer, but also a fantastic journey through many musical and cultural traditions and more importantly…a collection of heartwarming and beautiful songs. And that earns it not only a 5 star review from Celtic Radio, but our selection of the 2014 Celtic Radio Album of the year! 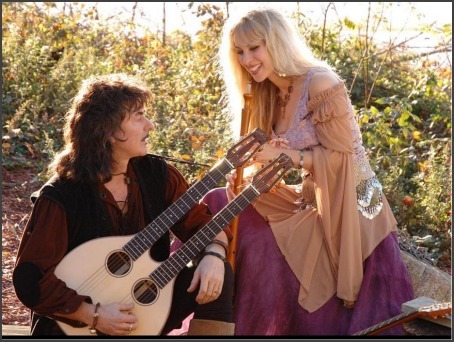 Since Richie Blackmore and Candice Night joined forces as Blackmore’s Night, they have been almost single-handedly responsible for the newfound mainstream popularity of traditional folk music. The band, however, didn’t only limit their output to interpreting and performing music the way it used to be performed (even paying particularly attention to reproducing the sound and feel of antique instruments), but they set out to adapt their influences to their own sensibility, creating a unique blend of sonic aesthetics that have become more and more consolidating record after record. The former Deep Purple and Rainbow member seems to have found his right home within this prolific project, now reaching the important milestone of its 10th studio album! While, the title track introduces the album set list with some truly hypnotic vibes, slightly reminiscent of Balkan folk, following number "Allan Yn N Fan" echo the sounds of Irish / Celtic music with some modern updates, as electric guitar lines add an extra bit of contrast. One of the album's pivotal moment is definitely the band's rendition of Mike Oldfield's classic single, "Moonlight Shadow". Candice Night truly owns the lyrics and set out to make the vocals her own with a stunning and ethereal performance. One of the most impressive qualities of the album is definitely the sheer variety of the arrangements and the beautiful sonic aesthetics associated with the composition and performance of these songs. The diverse backdrop of instruments as well as Candice Night’s very distinctive vocal performances have been a part of Blackmore’s Nights trademark sound since day one, but the band feels more and more confident in their performances, as if Blackmore & co became more and more aware of their means, as well as of the perks of their unique sound, record after record. On All Our Yesterdays, the kaleidoscopic approach to music of this band is definitely explored as an exciting possibility, whether the group is performing stunning originals or heartfelt cover versions. 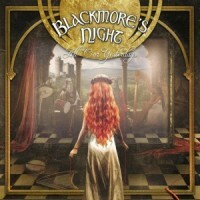 The album stands out as an excellent effort, showcasing how Blackmore’s Night seamlessly continues to establish themselves as a unique act with their one-of-a-kind blend of folk songs, antique instrumentation and hints of contemporary rock. 5 Stars from Celtic Radio.